Additional Info: Roy C. Brewer, Ph.D. Echoes of Elvis: Elvis Symposium, Smithsonian Institute, Washington, D.C., 2010. 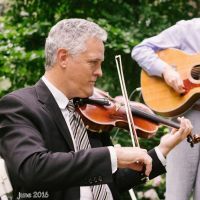 Fees: private lessons: $35 for 30 mins or $50 for 1hr I am currently teaching Violin Improv at Rhodes College, Memphis, and private lessons at Circle Music in Memphis. My fees for live performances vary.